Beam one up for £36.99 from Escapade. It’s practically illegal to not include the most iconic female sci-fi character of all time in a costumes round-up, but it can be tricky to find the right outfit if you don’t want to dress as slave Leia or ‘I’m sure her dress was longer than this in the movies’ Leia. This one fits the bill, though, and (30 Rock spoiler alert) also allows you to look like Liz Lemon on her wedding day. 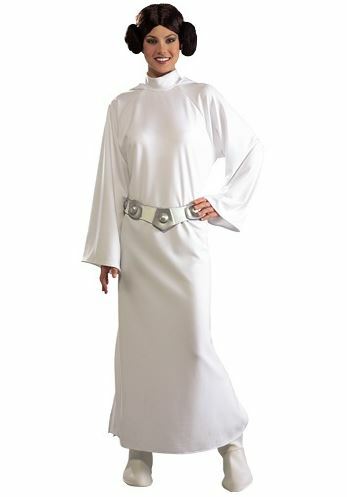 Find it for $58.99 (around £37) from Buy Star Wars Costumes. 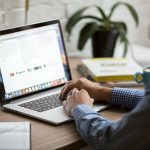 Order for £24.99 from Escapade. With the (now-confirmed) new Supergirl TV show coming next year, now’s your chance to get ahead of the crowd and celebrate a superheroine who’s perpetually in the shadows of Wonder Woman and Catwoman but worthy of celebration in her own right. 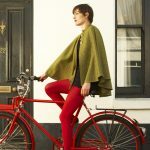 Plus, the cape doubles as a shawl/makeshift hood if you’re actually going trick-or-treating. 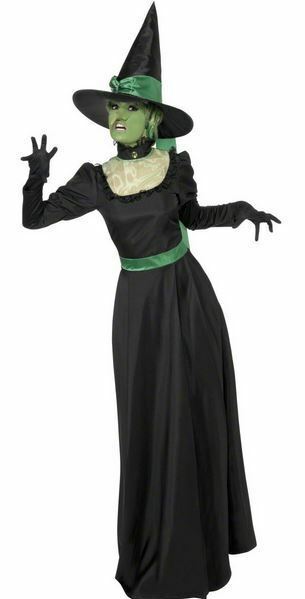 It’s £37.99 from Fancy Dress Ball. 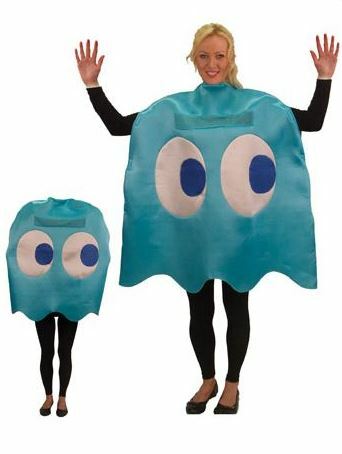 Proving that not every lady fancy dress costume has to be slinky, this one is Inky, the blue ghost from Pac-Man. For best effect, you should probably scuttle around the party, running through other people’s food. It might not make you many friends, but it will be authentic, and that’s what really matters. 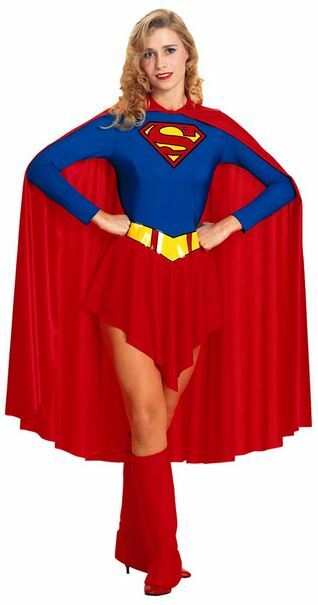 Snap it up for £14.99 from Angels Fancy Dress. There’s a reason she’s a yearly classic, and that’s because she’s the perfect Halloween character: vampish, witchy, mysterious and spooky, yet always completely glamorous. Plus if you walk around a party pouting and flinging catty comments over your shoulder, you’re not being rude, you’re just being method. 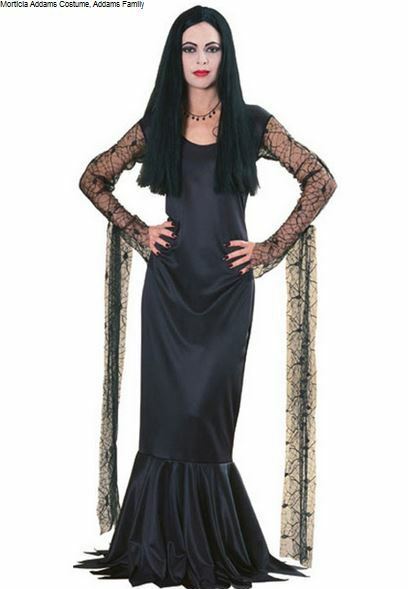 Channel Mrs Addams for £39.99 from Escapade. 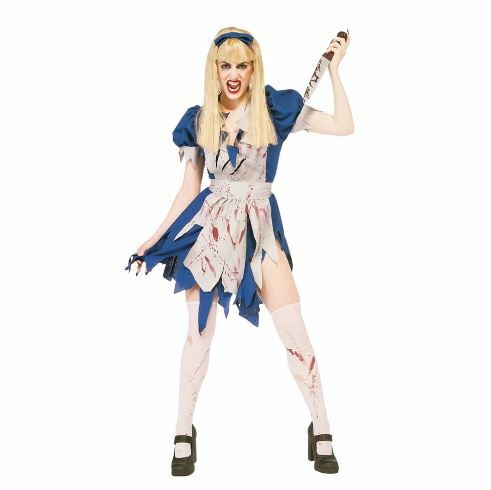 If you find the traditional Alice in Wonderland costume a bit sickly sweet (or borderline creepy on anyone over 12), this nightmarish version might be more up your street. The dress is pre-blood splattered for your convenience, you don’t have to worry about accidentally ripping anything, and you’ll scare small children and animals wherever you go. 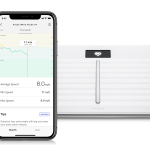 Grab it for £26 from Argos. Pick it up for £54.99 at Escapade. Whether you’re more Elphaba, Grotbags, or the original Wicked Witch of the West, green witches have a long tradition of scaring children witless, which people tend to frown on any other time than October 31st, so now’s your chance to really go for it (and cover up any dark circles or zits at the same time: win-win). The outfit’s £23.99 from Fancy Dress Ball, the make-up kit is £2.50, and you can also buy a hook nose, gloves, and broomstick. It’s about time we ladies had the chance to gender-swap this classic Officer and a Gentleman look. Make the other guests stand to attention and then sweep your partner off their feet in your crisp faux-Naval whites. (Just be sure to do some stretching first). Scoop one up for £27.99 from Escapade.